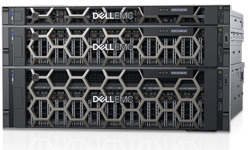 We provide top quality, state of the art hardware that will meet or exceed the most demanding Enterprise level requirements. At YellowHammerIT our fully managed dedicated servers utilize state of the art hardware, a 100% uptime guarantee for network and power and real time monitoring so we know if your server is having problems before you do! Do you have multiple users that need to access the same data? Do you manage e-mail for an increasing number of people? Do you need one centralized location to gather your backups? Do you have custom application or programming requirements? Are your page load times getting increasingly longer? Are the technical responsibilities of managing a dedicated server concerning? If you answered yes to more than one of these questions then we can help evaluate your company's technology needs and explore upgrading to your own fully managed dedicated server. The consultation is free, contact us today!